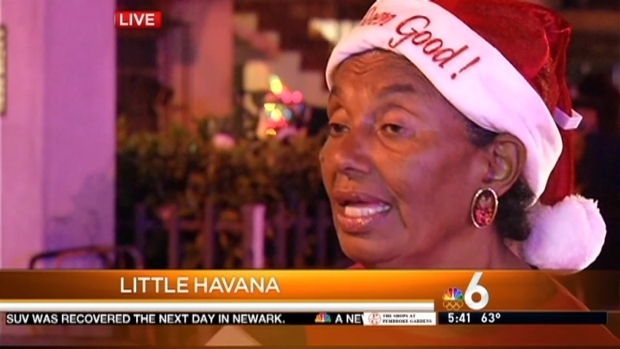 Thousands of families in need received bags filled with free food Wednesday in Little Havana as part of the Latin Chamber of Commerce's annual holiday meal distribution. Several families were lined up before dawn at the CAMACOL Tower on W. Flagler Street to be among the first to receive their baskets. 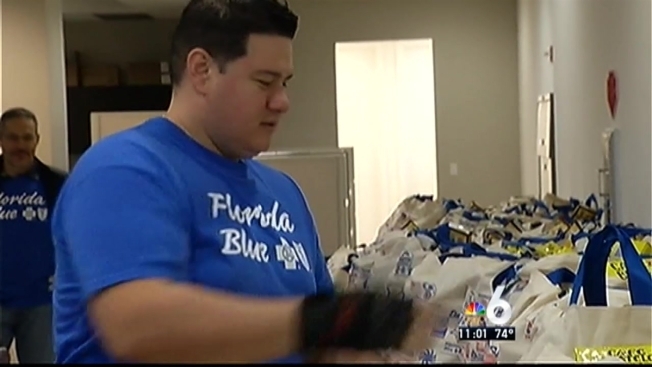 "I really need it because food stamps don't give too much," Julio Mendez said. "This is a good help." Thousands of families in need will be receiving bags filled with free food Wednesday in Little Havana as part of the Latin Chamber of Commerce's annual holiday meal distribution. Several families were lined up before dawn at the CAMACOL Tower on W. Flagler Street to be among the first to receive their baskets. This year marks the 28th annual food giveaway, and benefits 3,000 families, who received vouchers for the food earlier this month. A total of 15,000 bags of food were distributed. Florida Gov. Rick Scott attended the event to help distribute the baskets. Despite already having vouchers and a guaranteed meal, a massive line formed overnight outside the Little Havana offices of CAMACOL, the Latin American Chamber of Commerce. NBC 6 reporter Betty Yu was at the event. Camacol, the Latin Chamber of Commerce, partners with local supermarkets, including Publix and Sedano's, to put together baskets of pork, vegetables, rice, and desserts for the families.